Every month, and we seem to be one of the few who do this, we round up the major supply-demand indexes for the national housing market. Here are the real estate statistics for May, 2008, no spin, no slant, just the facts, and some historical perspective. Compared to one year ago, inventories remain huge, with little or no help from the demand side. We are now into the territory where 2008 numbers are being compared with the already depressed levels of 2007. The bottom remains in the distance. Permits, Starts, and Completions, (PDF): These leading indicators declined by 36.3%, 32.1%, and 26.9% from the already depressed levels of May, 2007. Money-CNN notes that this is a 17 year low for the construction industry. The Big Picture echoes that, and in the charts, we see that housing starts are now 68% less than the peak in January, 2006. An array of factors are at work here including, huge inventories, distressed sellers of existing homes, rising foreclosures, higher mortgage rates, and declining property values. Paper Economy shows us that in the South, the data for new home construction was a little worse than nationally. New Home Inventories, (PDF): Now sit at a 10.9 months' supply. This is 39.7 % more than the already inflated inventory in May, 2007. We look for builders to stay in cutback mode. Existing Home Inventories, (PDF): Now stand at a 10.8 months' supply, as compared to a 4.5 months' supply in 2005 and 6.5 months in 2006. New Home Sales, (PDF): More than 40% less than May, 2007, while the average price declined by 5.7% from one year ago. The Big Picture pulls out a list of added highlights from the data, including a chart showing that the May new home sales have now fallen 63% from the peak of July, 2005. Calculated Risk gives further perspective, which sadly shows this to be the worst season for new home sales since record keeping began in 1963. A single bright spot is that the raw number of homes for sale is falling. However, with demand so low, the months' supply remains around double what would be called normal. Paper Economy shows us that in the South, new home sales were slightly better than national levels. Existing Home Sales, (PDF): Around 16% less than May, 2007, with both average and median prices falling by approximately 6.5%. Interest Rate Roundup has a nice analysis in a fairly quick read, including a prognosis. Paper Economy shows that in the South, sales were slightly worse, but prices were slightly better. Time yet to find a bottom. Prices have not fallen enough in order for demand to begin to lower excessive inventories in all sectors. Just expanding a couple of recent articles posted here. We wrote on Tuesday about some of the useful and odd things that come about when higher gasoline prices intersect with housing and automobiles. One item we discussed was the website walkscore.com, as a tool for folks maybe shopping in the housing market. Asheville scored quite well. In a week when crude oil subsequently poked its head above $140/bbl for the first time, it proved to be a timely story. Inman offers more on the recent popularity of the site, and details on how to interpret your own "walk score". In one of our weekend "things to do" articles, we mentioned that The NC Arboretum in Asheville was now offering an option to tour the famed facility on a Segway Personal Transporter. That sounded pretty fun to us. Turns out those curious 2 wheeled scooters, launched in 2001, are another another beneficiary, (or is it solution? ), to burgeoning motor fuel prices. The Wall Street Journal provides some background, as does CBS News. Below is a 2 minute 25 second video of what they look like in action. Pretty interesting if you have never seen one up close. From 1948 until 1964, Doris Day was a Top Ten box office money maker. This is a longer run than any female star in history. Her films, and her music in this time make her a part of childhood for most baby boomers. In our house, she was one of those artists that was able to be shared by parents and children, something that definitely dissolved with the advent of transistor radios. Nevertheless, memories of such films as The Man Who Knew Too Much, The Pajama Game, Pillow Talk, Please Don't Eat the Daisies, and The Glass Bottom Boat persist, and make for fun viewing still. A featured song was often a part of her movies. Here is a 2 minute 30 second clip of the title tune from the 1958 film, Teacher's Pet with Clark Gable. Asheville: From Housing to Gasoline to Precious Metals? There have been a number of stories recently examining the impact of gasoline prices on housing. The major observation is intuitive; that gasoline squeezes budgets, and thus influences consumer choices and housing markets in suburbia. The Wall Street Journal, and a host of others have summarized the issue. We will turn our attention to some ancillary aspects, ranging from the utilitarian, to the odd and amusing. When the cost of motor fuels, combined with a desire for an active lifestyle become more important to buyers, the web based tool, walkscore.com has gotten a fair amount of exposure. As the name implies, the site allows users to enter an address, a zip, or even a whole city to get, you guessed it, a "walkscore". The walkability of Asheville is well known to locals. It's one of the things we love about our fair city. Not to disappoint, downtown garners a perfect score of 100. The more residential, and slightly North Asheville Zip Code, 28801, gets an 88. We feel preetty good about that. How does your neighborhood measure up? It's become useful these days to recall that how we drive influences MPG. Instead of writing about it though, here is short video, (3 minutes 30 seconds), that looks at a number of auto efficiency items. It's a good discussion of MPG realities vs myths, such as tire pressure, spark plugs, and the ever popular question, windows up with the AC on, or not? With the inflation adjusted price for gasoline at all time highs, the phrase drilling for oil has taken on new meaning. USA Today, among others, have reported a new "fad", where thieves drill or puncture the gasoline tanks of parked vehicles to steal the contents. That all a sounds a bit messy or unhealthy to do, but this much makes sense; the automobiles most vulnerable will be those with a high ground clearance, and plastic tanks. Wonder what kind of tanks are on our cars? By the way, you can find Asheville gasoline prices here. Platinum, a component of catalytic converters is apparently trading at a lucrative $2,252/ounce. Proving that there is a market for just about everything, using a cordless hacksaw to steal the catalytic converter from your parked car is a new entrepreneurial endeavor. This unique way to trade precious metals won't fetch you a down payment for a house though, the devices go for around $100 each at local scrapyards. Depending on your make, model and year, replacing one ranges from a few hundred to $2,000. Here is what The Asheville Citizen Times has to say about local conditions. Again, the high ground clearance of SUV's and pick-ups make an attractive target. As we said at the outset, from utilitarian to just plain odd. The Wikipedia reference to The Howdy Doody Show reminds us that this bit of pioneering kid's TV had a large ensemble of characters. If the names of Howdy's pals are familiar, but you can't picture the faces, don't be surprised, the last show ran in September, 1960. In our office, we were 5, 7, and 8 at the time. Info on Howdy and the gang is pretty scattered around the web, so rather than try some kind of short narrative, let's just have a little Friday link fest. Phineas T Bluster, the mayor of Doodyville, who also held the mortgage on Howdy's house. Some Fairly Quick Trivia on these and other charaacters. The final show, the 2,343rd, was entitled Clarabell's Big Surprise. It was apparently filmed in color, and recently rediscovered. Clarabell died in May, 2006, at the age of 84. Here is 1 min 23 secs, of the final episode. There is a 5 min and 50 second clip of the final show's opening and closing at this location. Asheville, The Paris of the South, has a whole lot of nicknames, to capture its eclectic nature. When speaking about Asheville and the outdoors, a favored moniker on our part might be "The Moab of the East". Some of the things we do here in the outdoors are rainfall dependent. Skiing, with its man made snow, fly fishing, and white water rafting all come to mind in that sense. But, like many places in the US, we are in the midst of a drought. One doesn't need to look any farther than this chart of water levels in our own French Broad River, (Chart Source), to see the extent of that. Despite the lack of rain, one can still have a great white water experience, but a little background information to get the most for your rafting dollar is key. If that doesn't suit your fancy, we turn our attention today to biking and mountain biking. Some of the rides in our area are world famous. In fact, there are even places where you can be shoulder to shoulder with world champions and Olympians. So whatever is your outdoor pursuit of choice, waterless or not, be sure to check out our complete guide to biking and mountain biking around Asheville. You will find links to trails, maps, driving directions, racing, biking etiquette, and more. Moving way from hard news and data on a Friday is a good thing to do, so let's look at a couple of weekend fling things in the region. The Asheville Citizen Times has an overview published online today. Hosted in the Town of Hot Springs, the initial inspiration was to prevent logging on Bluff Mountain, the backdrop to this Madison County resort mecca. (Yes, there really are hot springs in Hot Springs). As time has passed, the festival has morphed from something that had an eco-focus, to a celebration of the arts, mountain life, and traditional music. The event is sponsored by The Madison County Arts Council, and a history of "Bluff" is available from the festival homepage, which includes performers, photos, and scehdule. The event is free, and everyone should experience at least one Bluff Festival. The NC Arboretum, will host a special adventure on Sunday June 15, from 10 AM until 2 PM. Reservations are required. The full details of cost, age restrictions and so forth are here, from The Outdoors section of the Citizen Times. In actual fact, the two-wheeled, stand up, Segway Personal Transporters as they are officially known, are available every day at The Arboretum. It's just a nice unique outing to mention in deference to all fathers, and maybe a memorable surprise. Have fun! Roy Orbison, (1936-1988), sure, he is one of the big names in rock and roll. Almost anyone, baby boomer or not, can come up with the titles to 3, or 4 of his hit records. But it is not until we look a little closer that we begin to realize the extent to which he permeated the soundtrack of our lives. A rough count shows something like 26 Top 100's by 1966 alone, including, Only the Lonely, Runnin' Sacred, Dream Baby, Cryin', In Dreams, Blue Bayou, Pretty Paper, It's Over, and the anthem, Oh Pretty Woman. Those are just the Top 10's, not to even mention his time with the late 1980's supergroup, The Traveling Wilburys, (Roy, George Harrison, Tom Petty, some guy named Bob Dylan, and Jeff Lynne). As a singer AND a songwriter, Orbison prefigured a later era in rock, when that combination achieved value in popular culture. Roy's first Top 10, from 1960, Only the Lonely, performed live. Did you know we have a real rarity in the world, located maybe 90 minutes from Asheville? The Elkmont fireflies have been described many ways by local residents. Typical remarks are along the lines of, "The most amazing thing we ever saw." Local residents had known about the bugs' behavior for more than 40 years, but it is only recently that science has "discovered" the creatures. Once thought to be solely an Asian phenomenon, our own Elkmont section of Great Smoky Mountains National Park also plays host to nature's own mesmerizing light show. Click Here: For Park Service information on viewing times, trolley service to limit vehicles, and so forth. Pigeon Forge.com: Has a good article, in particular the section on the etiquette of firefly viewing in The Park. Appalachian Voices: A nice article on some of the history of such bug's around the world. Science page from one of the main persons studying Elkmont's synchronous fireflies. Find Elkmont on Google Maps. This week's baby boomer post goes to 1955, with a great Peggy Lee number, from the Disney film, Lady and The Tramp. Peggy passed away in 2002, at the age of 81. It's interesting to note that this film was presented in CinemaScope, which was one of many wide screen formats dating from the early 1950's. At the time, Hollywood feared the rise of television, and thus used a number of innovations to combat that new medium. Other film techniques introduced in that time included Cinerama, and 3-D films. 2 minutes and 30 something seconds of Peggy Lee, singing He's a Tramp. We have made a commitment here to provide consumers with information by which to make solid choices. So, it was nice for our blog to be recognized by The Consumer Focused Carnival of Real Estate. There were a total of six articles selected from this moderated carnival. It is hosted at Searchlight Crusade, and runs bi-weekly. We extend our thanks to the host, Dan Melson, for his time and effort. Our article can be found here. It refreshes our readers with some basic ideas from grammar school to help us all navigate real estate data, news, and spin. The 17 year cicadas are quite the topic among Asheville's citizens and media lately. Sometimes called the 17 year locust, (they are not locusts), it is the noise they make that is most notable. Indeed, The Asheville Citizen Times calls their appearance a "noisy party". Cicadas mate, once every 17 years. The noise in question is thousands of males luring the females of the species. After mating, the larvae burrow into the ground for another 17 years, only to emerge once more, for another "party". Glenn Palmer, a Master Gardener with the Buncombe County Center of The NCSU Extension service elaborates on their curious life cycle, and the fact that damage is minimal. Pretty much limiting itself to a few extra dead branches in our yards in the fall. 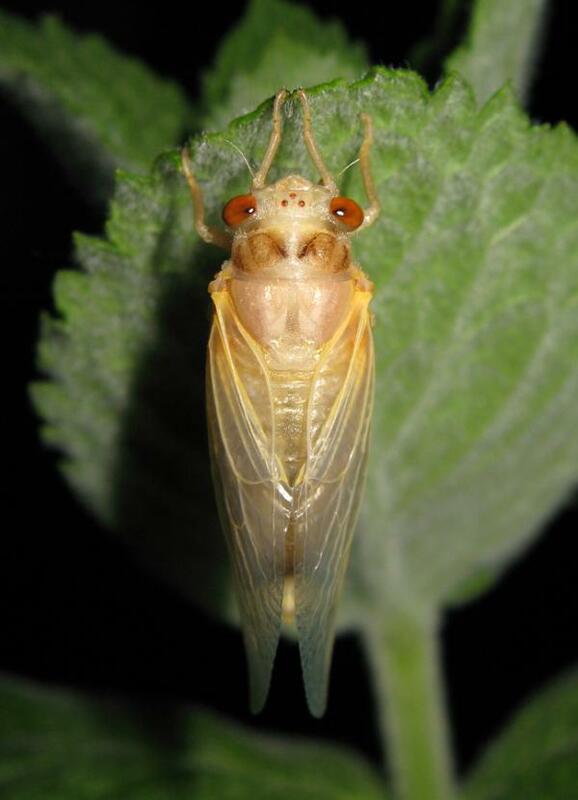 By all means, don't miss the aptly named website Cicada Mania, and especially, this photo of the little guys. In the last part of May, we wrote this article, which looked at some basic lessons from grammar school that were useful to remember in making sense out of real estate data, news, and spin. We have made a commitment here to provide information, be it positive or negative, for consumers to make sound choices. We thought the article was pretty good, and so did the folks at The Carnival of Homeowners. Our posting was selected, along with eight others, as being among the best of recent blog articles for homeowners. We would like to thank the moderators for their time, effort, and for choosing us. You can stay in touch with homeowner issues on a wide variety of topics by keeping in touch with that blog carnival, at this location. It runs weekly.